You will add many Cheats: Invisible , God Mode , Silent Heartbeat , Unlimited Ammo and many more. Hello and welcome to Apocanow, we present this article about the Trainer of Sniper Elite 4 We hope it will serve you and allow you to improve your experience with this game. 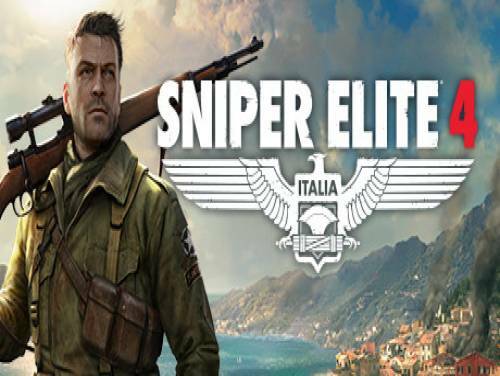 In the following page tricks of Sniper Elite 4 you will be able to see the tricks and the codes we managed to collect for this game, thanks to them you will be able to overcome any difficulty, even at the cost of cheating a little. The program you are about to download was not created by Apocanow. However, we have permission to publish and publicize by the authors of the Trainer Sniper Elite 4 Trainer - v1.5.2 DX11. The contents of the file are virus free, even if sometimes they can trigger the AV as false positive. Numpad 1: God Mode - toggle on and you cannot be killed, even from falling. existent. You can hold your breathe indefinitely. will not lose any ammo. Works for AMMO FOR WEAPONS ONLY now. then click on SERVICE RECORD, and note your XP. Each press adds more. time knowing where you are, as if you are invisible. Numpad 7: No Recoil - toggle on and many weapons no longer recoil when fired. accuracy when fired, even when moving. on and when you use grenades or other items, you will not lose any.